Where to Stay in London + Best Areas to Stay in London – Discoveries Of. Planning a tridup to London and not sure where to stay? 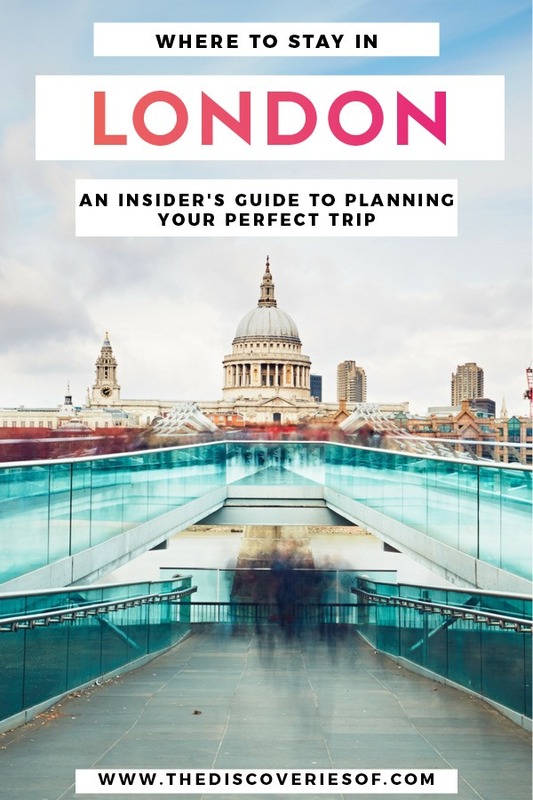 Don’t miss this comprehensive guide to the best areas to stay in London to help you plan your perfect trip. London is my favourite place in the United Kingdom. Maybe I’m biased as it’s my hometown, but there’s something so special about this cosmopolitan capital. To the uninitiated, this city, packed with more than 9 million people, is a mystery. There are so many things to do and places to see in London that it can be a boggle. 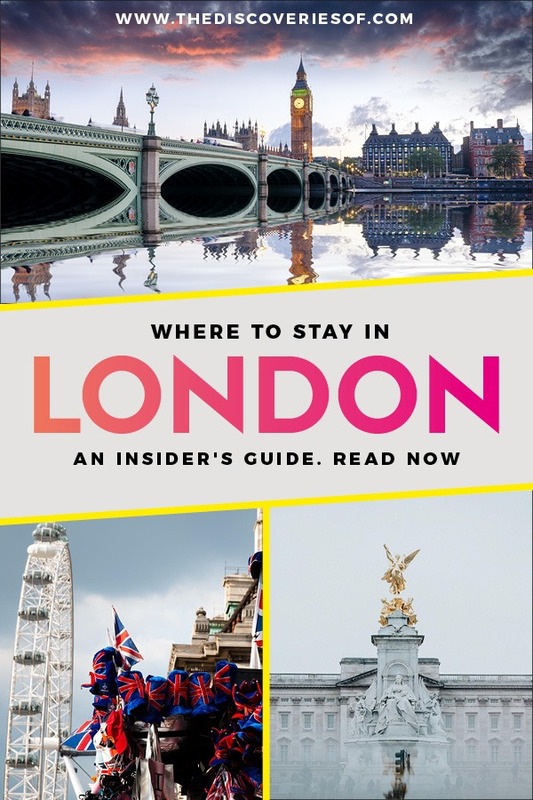 Well, worry no more – I’ve written a comprehensive guide to the best areas to stay in London and where to stay in London to help you choose the perfect spot to suit your travels. Why not check out my other London guides? The best area to stay in London is Central London, particularly if you are a first-time visitor. This is because Central London is where most of London’s tourist attractions and best restaurants are located. Central London properties come at a price, but are well located for getting around and proximity to the big sights. There are a lot of areas in Central London, so I’ve included an area by area breakdown to give you more information. Yes, the West End is busy, but it’s enchanting. For many, The West End is London – buzzing, packed and always lively. 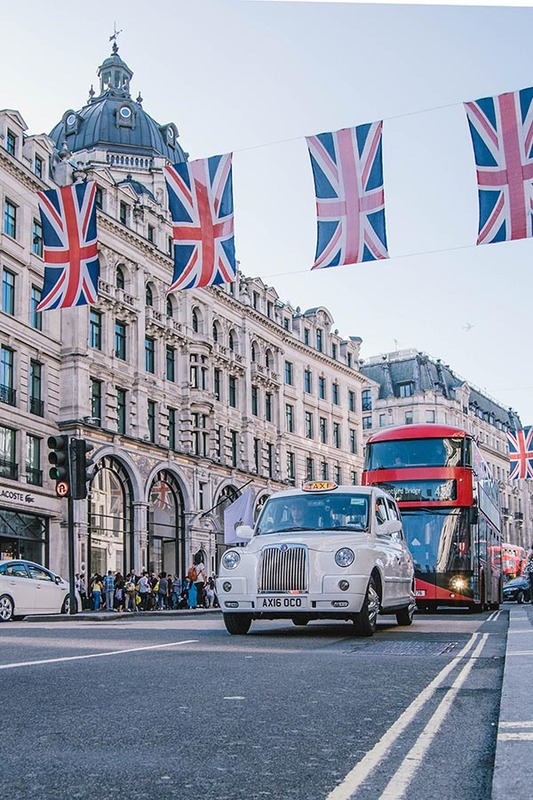 The West End – which generally refers to Covent Garden, Picadilly and Leicester Square – is undoubtedly the best area to stay in London for sightseeing and shopping. Bu it’s got a lot more to it than West End theatres. Day or night, there’s always a play to see, music to hear and something to keep you occupied. I think that the West End is the best area to stay in London for first time visitors as it offers the London experience. Prepare yourself for London at its most exuberant and you won’t be disappointed. Here are a few things you shouldn’t miss while you’re staying in the West End. The British Museum – Britain’s most visited attraction and a tour around the world throughout the ages. Oxford Street – The UK’s most famous shopping street can be an eye-opening, if slightly overwhelming experience – plus its festive lights are practically a rite of passage for Christmas in London. Piccadilly Circus – The bright lights and large adverts are one of London’s most iconic sights. 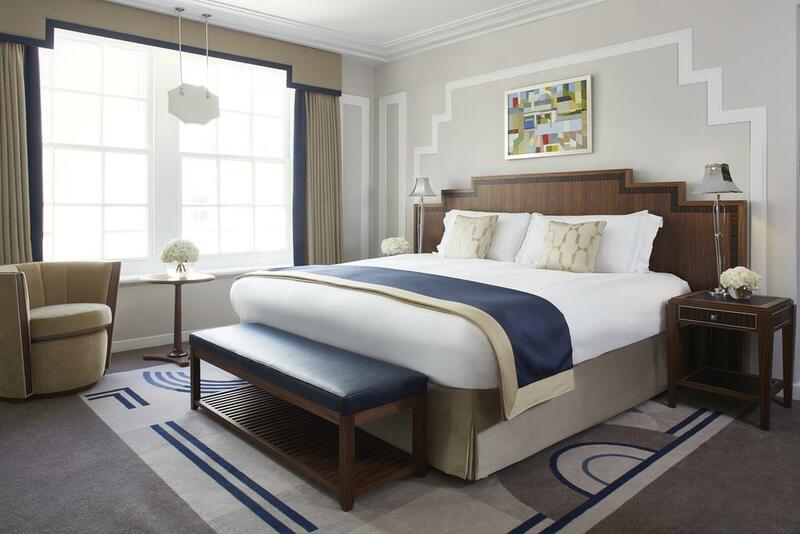 One of London’s exciting 2017 hotel openings, The Henrietta has hit the ground running – building a reputation as an exclusive yet enjoyable place to stay in the heart of Covent Garden. Excellent quality hospitality is the key to their success. You’d expect no less from the folk behind the Experimental Cocktail Club and the Grand Pigalle Hotel in Paris. Inside the hotel feels like someone’s (very expensive) home. That’s partly down to the size (18 rooms) and partly down to the decor. Think contemporary minimalist with quirky art deco touches. Interior designer Dorothée Meilichzon has gone to town in the bedrooms – gold lamps, mirrors, upholstered headboards. It all sounds too garish for words when you describe it, but in reality it’s just beautiful. It’s nice to see something a bit different to the standard white walls with neutral accents favoured by many hotels. Foodies will relish the chance to eat in The Henrietta Hotel’s restaurant, the brainchild of one of London’s most talked about chefs, Ollie Dabbous. Clean flavours, simple ingredients – it’s the kind of unfussy food that lingers on the palate (and in your memory) long after you’ve finished the meal. Even if you haven’t been to London before, chances are you’ve seen a picture of Piccadilly Circus – one of the iconic London views. Guests staying at Hotel Cafe Royal are lucky enough to see this view as soon as they step out of the hotel – thanks to its Regent Street location. Still, it takes much more than a great location to garner a reputation as one of the best places to stay in London. Lucky for us, Hotel Cafe Royal has a lot more on offer – most notably, its spa. The Akasha Spa is reason enough to book your trip. A quiet enclave of peace and serenity, complete with a spa menu that will excite even the most dedicated (and dare I say it, jaded) spa-goer. Book in for a session in one of the nine treatment rooms. Looking for something a little different? 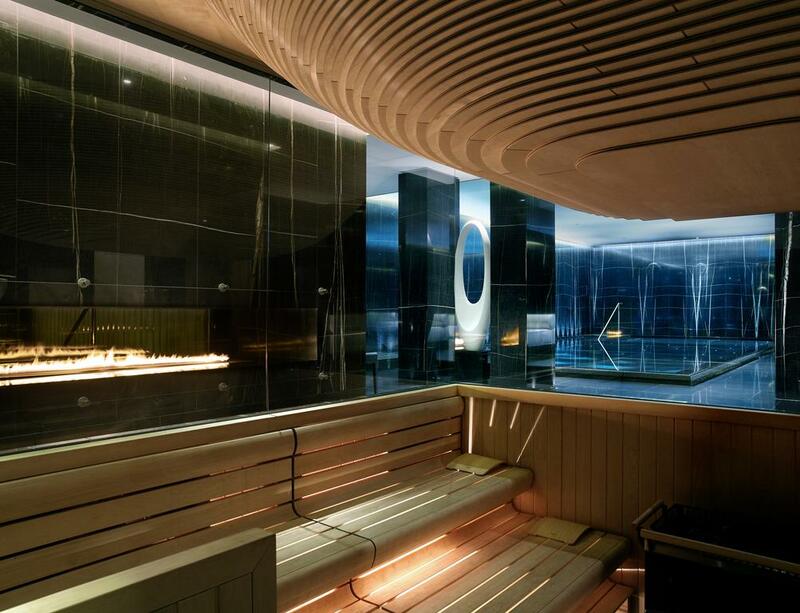 The Akasha Spa boasts London’s first Watsu pool, which is used for a range of specialist hydrotherapy treatments. I challenge you to finish one without feeling completely relaxed (be warned: I’m pretty sure that it’s impossible). Hotel Cafe Royal, 68 Regent Street, London, W1B 4DY. If you’re wondering which area is best to stay in London for tourists – I’m going to say that Westminster is a great bet. Stretching back from the River Thames, Westminster is at the top of many London visitors’ lists thanks to sights such as The Houses of Parliament, Westminster Abbey, Trafalgar Square, and the National Galleries. It’s a short walk to the West End and there are good transport links to most parts of London. 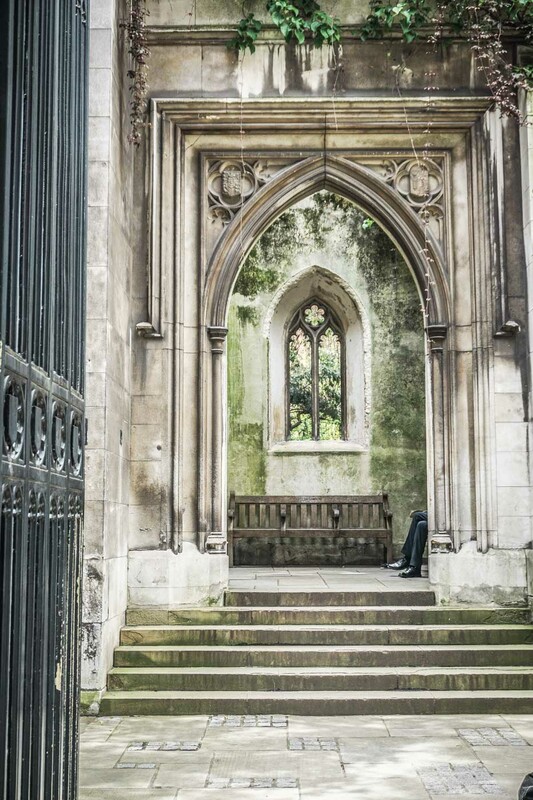 Westminster Abbey – Royal weddings, coronations and royal burials – Westminster Abbey has seen them all. The Houses of Parliament and Big Ben – The seat of British parliament is a suitably ornate affair on the banks of the River Thames. Plus you can’t come to London without seeing Big Ben. Trafalgar Square – There may be fewer pigeons these days, but London’s most famous square is still a great spot to people-watch in the shadow of Nelson’s Column. The National Galleries – The National Gallery and National Portrait Gallery each house an impressive collection. Entry is free of charge, apart from to special exhibitions. 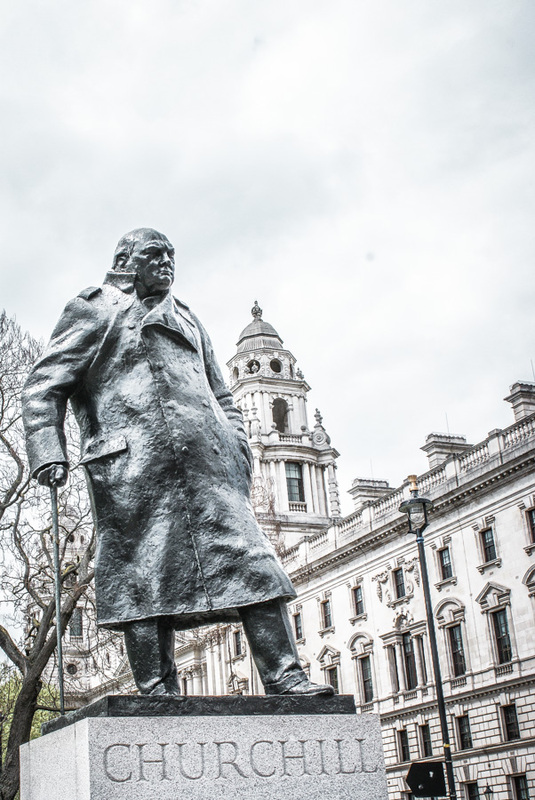 Want to know more about Westminster? Check out my self-guided London walks – there’s one dedicated to exploring Westminster and its surrounds. What’s not to love about The Corinthia? A grand hotel that opened less than a decade ago, it’s got luxury London lifestyle stamped all over it. While you might be attracted by the fine-dining restaurants, stellar bars and uber-luxe rooms and decor, there’s one thing that you shouldn’t miss in The Corinthia, and that’s its spa. Why have I chosen the Corinthia as one of the best spa hotels in London? ESPA Life is not only the city’s largest spa, but also its most luxurious. Imagine 3,300 square metres of pure decadence, ready for you to spend some serious pamper time in. There are 17 treatment rooms and, rather enticingly, private sleep pods for you to have a snooze in after you finish your treatment. The treatment list is extensive – covering the usual massages and facials as well as several “journeys” exclusive to ESPA. Skilled therapists will advise you on the perfect combination of treatments if you’re not sure where to start. The Corinthia London, Whitehall Place, Charing Cross, London, SW1A 2BD. More than just a common nursery rhyme, London Bridge makes a good base for exploring London thanks to its central location and excellent transport links. London Bridge might not be the first place you think of when you ask where to stay in Central London, but it’s an excellent choice. Afternoon tea at Ting in the Shangri La. You can enjoy the views (and the food) from the Shangri La in the Shard by booking in for their afternoon tea. Borough Market – London’s most famous food market. Go with an empty stomach, buy gourmet treats to bring home before settling in to one of the excellent restaurants in the area (Wright Bros. and Brindisa are particularly good). 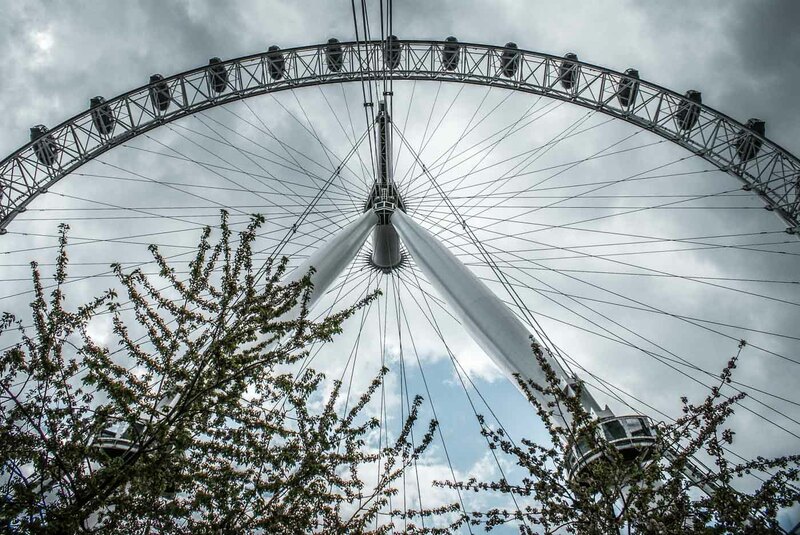 The London Eye – Observe London as you circle around this giant observation wheel. The National Theatre – Groundbreaking plays, old classics and more – the National Theatre consistently puts on the best shows in town. Tickets can be hard to come by but can often be bought on the day if you have the time to call or queue (or can sometimes be bought online too). BFI Southbank – The BFI is the best place to see classic films from the British Film Institute’s archives. Also hosts talks and panel discussions, as well as the British Film Festival in October. PS – the BFI Mediatheque is one of London’s quirky spots – check it out. Skylon – Dinner and cocktails with views in the Oxo Tower. The Tate Modern – London’s largest modern art gallery towers above the South Bank. A must visit for all contemporary art lovers. The Shard is London’s tallest building, so it makes sense that its hotel, the Shangri La, has some of the best room views in the city. Still, that doesn’t do it justice. Perched on floors 34 to 52 of the building, Shangri La is an excellent luxury hotel in London that just happens to have an absolutely amazing view everywhere you look. The hotel is everything you would expect from luxury brand Shangri La – service is friendly yet efficient, with an excellent roster of restaurants and bars and a free breakfast. There are L’Occitane toiletries in the room, and marble bathrooms with heated floors. It’s a business-oriented hotel, but still has obvious appeal for leisure travellers too. Relaxation wise, the infinity pool on the top floor is a must. I won’t blame you if you get distracted from your laps by the sight of London from above. If you do completely give up on the pretence of swimming, the adjacent loungers come with full service and the same views. Don’t forget to book into Ting for one of the best afternoon teas in the city either. The Shard is right next to London Bridge station – as in less than a minute away, so you can get around the capital with ease. Borough is full of foodie treats to explore, including the legendary Borough Market. 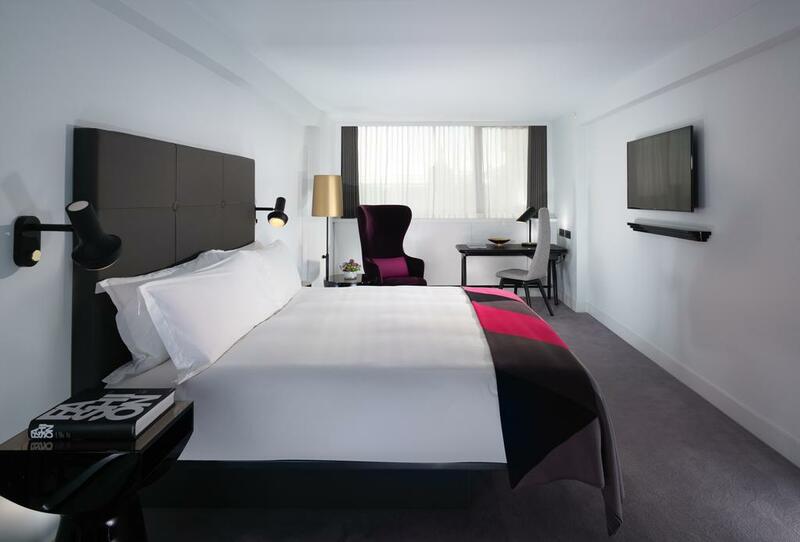 I know it’s wrong to have favourites, but the Mondrian London at Sea Containers really is one of my favourite hotels. Why? Well, it’s located on the South Bank, a short walk away from the National Theatre, Royal Festival Hall and a fabulous street food market. It overlooks the Thames and rooms come with the view to match. More than that though, it’s just got the whole luxury hotel thing down to a T.
Designer Tom Dixon has excelled here, creating a five star London hotel that is both playful and high-end at the same time. The whimsical style is meant to emulate a transatlantic ocean liner – a play on its Thames-side location. Don’t feel like going out? Mondrian at Sea Containers has you covered: whether it’s seeing a film in the in-house Curzon cinema, sipping on cocktails in the rooftop Rumpus Room or spending an afternoon in the spa, you could occupy yourself for a whole weekend without stepping foot outside of the hotel. Indian hoteliers Lalit Suri Hospitality Group have brought a taste of the east to the unlikely environs of Tooley Street. The LaLit, a five star hotel in London that opened at the beginning of 2017, combines a grand Victorian setting with the opulent decor and hospitality for which the brand are famed. The interior was designed by Archer Humphryes of the Chiltern Firehouse – the central dining room, with its rich royal blue walls and parquet floor, is a particular talking point. Each of the 70 rooms has a different design and layout, avoiding the cookie-cutter approach that can signal a dearth of personality in a hotel. They’re colourful, without being overwhelmingly so, with more than a touch of contemporary Indian style. The redbrick building used to be a school, St Olaves – rather than hide the fact, The LaLit glories in the building’s roots: you can even sleep in the old headmaster’s room. Location-wise, The LaLit is a mere hop from London Bridge and The Shard. 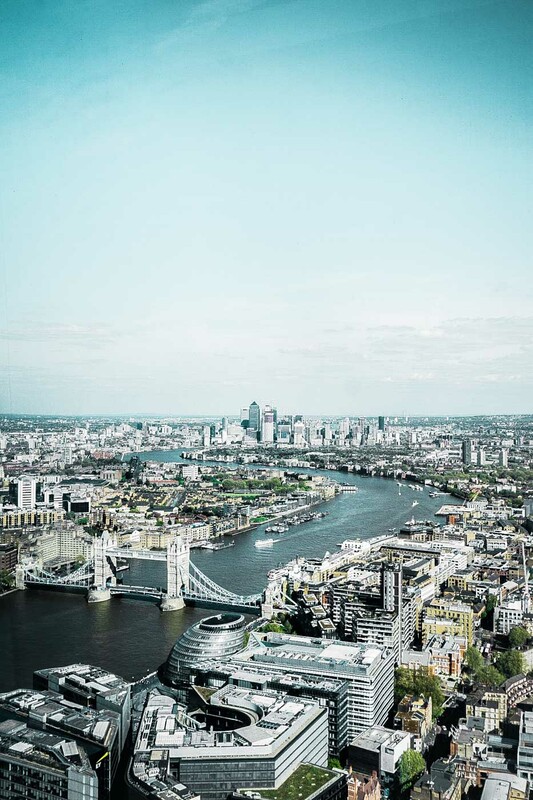 The South Bank, Shakespeare’s Globe, National Theatre and Hayward Gallery are all within easy reach, as is the famous Tower Bridge and Tower of London. In short, you’re well-placed to explore a lot without even having to take public transport. I’ve chosen Soho as the best area to stay in London for nightlife. 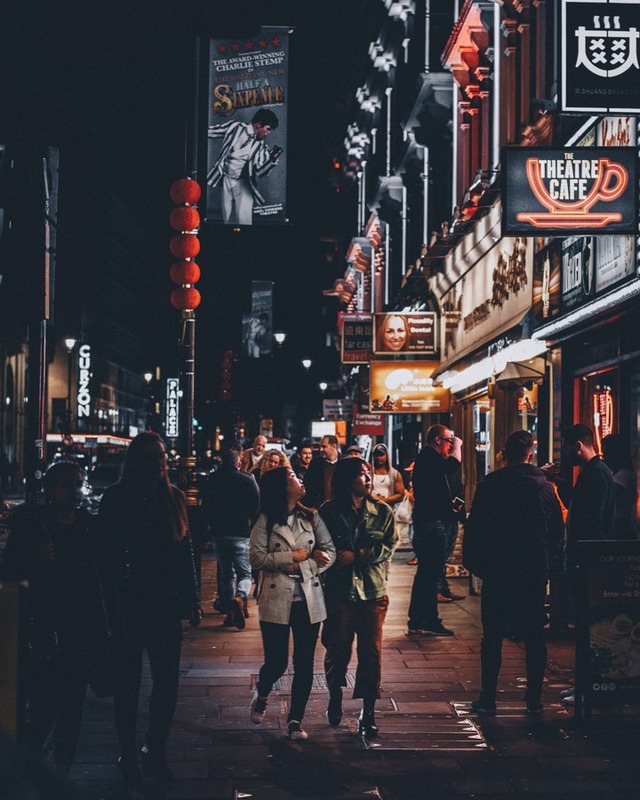 There are a number of clubs and late-night bars in Soho itself, it’s within walking distance to some of the capital’s liveliest clubs too. Trendy Soho has undergone something of a regeneration in the past decade. What used to be a rather seedy part of the city centre has been transformed into one of liveliest parts of town. While it’s still a lively hub, with some of London’s best restaurants and bars, Soho has also welcomed a range of high-end hotels. Yautcha – Delicious all-day dim sum at affordable prices. Bob Bob Ricard – Gorgeous Russian-European hotel serving up gastronomic treats and cocktails. The ultimate date night dinner. Curzon Cinema – Watch the latest indie flicks in comfort and style. Also hosts live talks and panel interviews. Maximalist decor and… a bowling alley to boot. If you’ve heard of Ham Yard Hotel, you might be thinking “Ham Yard Hotel – is that the hotel with its own bowling alley?”. One of London’s best boutique hotels, Ham Yard combines eclectic and maximalist decor with oodles of personality and bags of comfort. This is my favourite property from award-winning hoteliers Tim and Kit Kemp thanks to its unusual style and unpretentious feel. Sound like your kind of place (the only answer to that is yes)? You’ll be glad to know that it’s tucked in a handy location at the bottom of Regent’s Street – perfect for your central London break. It’s not called Museum Mile for nothing. 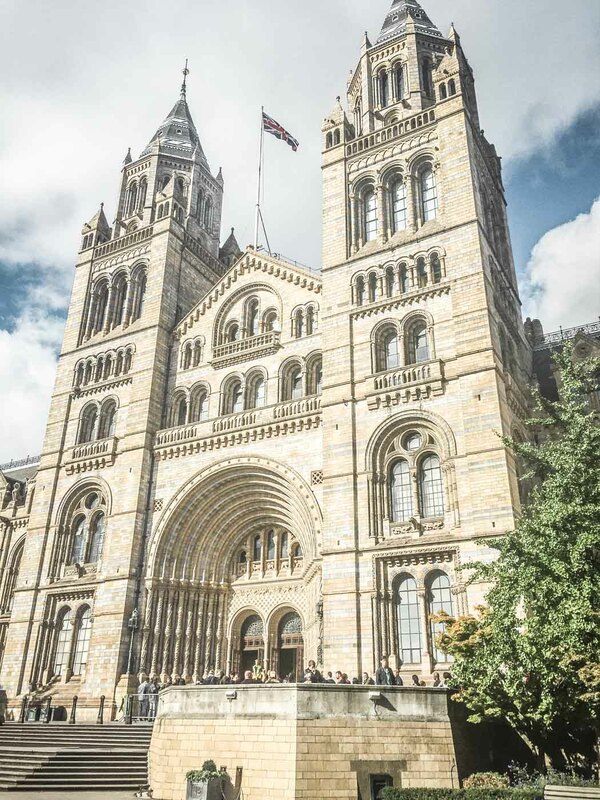 Kensington has some of the city’s best-known museums: The Natural History Museum, Science Museum and gloriously eclectic Victoria & Albert Museum (V&A). Kensington is the best area to stay in London with a family, thanks to the number of free museums within walking distance and its slightly more relaxed pace. It is relatively expensive, but there are so many pluses. It’s also easy to hop on the underground or a bus to get into the centre quickly. Away from the museums, do like the locals do and enjoy leisurely alfresco coffees in the summer before popping into a high-end restaurant for a culinary treat. The Natural History Museum – Dinosaur skeletons, geology more – explore the natural history of the world. The Science Museum – Wacky experiments, interactive exhibits and thought-provoking facts. Learn something new during a visit to the Science Museum. Victoria & Albert – The world’s largest museum of decorative arts and design is an eclectic array of over 4.5 million objects. Cambio de Tercio – One of London’s best Spanish restaurants. Round the corner from the famous so-called “Museum Mile” The Ampersand’s location is draw enough to families planning on spending some time in the Natural History Museum, Science Museum and V&A. It can sometimes feel like family-friendly luxury hotels in London are few and far between, but the Ampersand excels at balancing the two. Billing itself as one of London’s best family hotels, the hotel offers additional beds for certain room categories and there is also the option of an interconnecting room. Families will be particularly interested in the suites, which come with mini kitchenettes. Perfect for preparing kids’ snacks or babies’ meals in. There’s also a full children’s menu in Mediterranean style Apero Restaurant downstairs. OK, this one is most certainly not family friendly, but if you are planning on staying in Kensington sans kids, take a look at Blakes. One of the original London boutique hotels, Blakes has been providing London’s visitors with a decadent place to lay their heads since 1978. The hotel is the perfect destination for a romantic break in London, thanks to the dramatic and individual decor. Four-poster beds, gilt frames, freestanding baths – it’s theatrical style provides a fitting backdrop for a couples escape. Well-heeled Kensington is brimming with dining and drinking options for a special meal. Alternatively, cosy up in the opulent Blakes Below bar for a romantic date night in the hotel. Blakes Hotel, 33 Roland Gardens, South Kensington, London, England, SW7 3PF. Street food markets, street art and container shopping centres – Shoreditch never ceases to reinvent itself. Stay in Shoreditch if you want to see London like a local. Yes, there are high end hotels and swanky bars, but a lot of Londoners live, sleep and play in Shoreditch too. Shoreditch is the best neighborhood to stay in London for those who want to experience a different side of London. One that’s less glamorous, a bit grittier but that’s full of low-key bars, cool cafes, pop up restaurants and lots to do. A slew of luxury hotel openings in recent years means that you’re spoilt for choice when it comes to finding a place to sleep in Shoreditch. Boxpark – The original London shipping container hub of restaurants and shops is still its best. Columbia Road Flower Market – Get up early at the weekend for a dazzling display of floral arrangements at this long-standing market. The Clove Club – No menu – just five courses of perfectly-made food for a show stopping dinner. Shoreditch is one of London’s coolest neighbourhoods and a fitting home for the Ace Hotel London. This London outpost of the achingly cool US chain burst onto London’s hotel scene, paving the way for the many stylish and hip hotel properties that have followed in its wake. So, what’s to love? The great location for starters, the vibrant decor, the blink-and-it’s-there service, the effortlessly chic decor – the list is endless. Think sixties decor paired with light wood and splashes of colour. Bedrooms are some of the most stylish in town – with denim APC bedcovers and mid-century modern touches. Bathrooms are suitably on-trend too, with concrete sinks and an industrial vibe. The lobby / coffee shop and bar is always buzzing, filled with a mix of the city’s creative types and hotel guests. Ok, I’ll admit, Ace is not the kind of hotel to book for if you want to escape for a weekend from it all, but if you are looking for somewhere a little different for your stay, this should be the first port of call. Ace Hotel effortlessly pairs five star surrounds with the kind of atmosphere that other hotels can only dream of. Night owls can hang out in any one of Ace’s bars. The Gallery Bar makes the perfect pre-dinner drinking spot, whereas Miranda’s, the basement bar is more suited to the late evening and early hours of the morning. It’s hard to gain a reputation as being cool in Shoreditch these days. 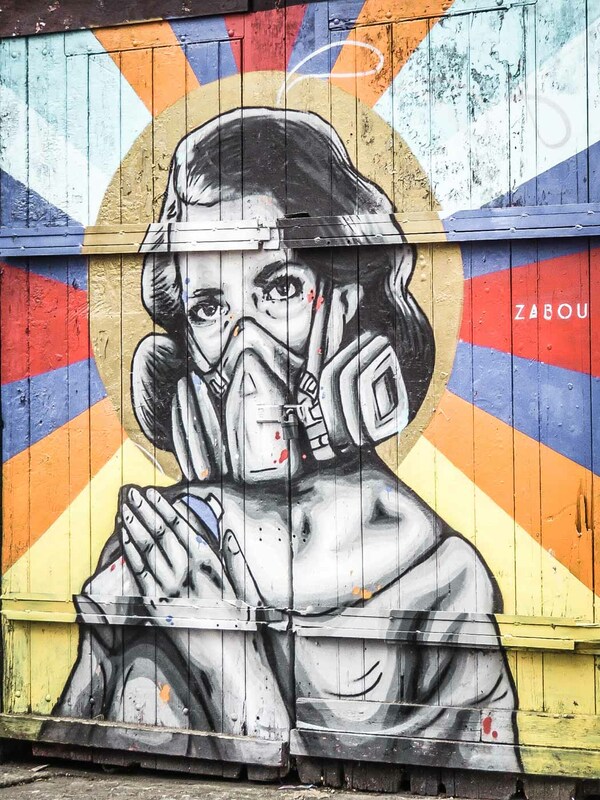 In an area that’s brimming with some of London’s coolest hotels, restaurants, pop ups, bars, shops – not to mention street art, you have to be pretty outstanding to stand out from the crowd. Well, certainly New-York hotelier Michael Achenbaum, the man behind new(ish) hotel The Curtain is doing something right. Less than a year after its opening, The Curtain has cemented a loyal following thanks to its too-cool-for-school attitude and impressive digs. The rooms walk the line between contemporary and rough-luxe, with exposed brick bedroom walls metres away from marble bathrooms. Yes, The Curtain knows that it’s cool and it’s not afraid to flaunt it – hence the sneaker shining service to bring new life to your trainers, and the customised Carhartt uniforms worn by all the staff. You’d have to be pretty jaded not to do a double take at the 1,600 square metre rooftop – which boasts an outdoor pool, day beds and bar that are made for whiling away hot summer days in. It’s Shoreditch, so it should come as no surprise that The Curtain has an extensive bar and club offering, including a few restricted to members and hotel guests. Nobu’s first hotel in Europe had a lot to live up to. After all, the expectations are riding high on a hotel run by one of the world’s most famous chefs, Nobuyuki “Nobu” Matsuhisa, actor Robert De Niro and Jimmy Sweis. Live up it did. Nobu Shoreditch has firmly established itself as one of the best hotels in East London and a must-stay for the discerning visitor. Aesthetics are a pleasing mix of Japanese and Western styles: painted screens on the one hand, concrete walls on the other. It works surprisingly well and sets it apart from the urban-industrial look favoured by many other properties in the area. There are several room categories to choose from: the smallest, the deluxe category can feel a bit snug, but it’s offset by a texturally-rich decor that somehow makes it feel bigger than it actually is. Bathrooms are stark white (with a few touches of gold here and there ), and all come with walk-in showers. East London might not be the first place you think of when you think of where to stay in London for a mindful retreat, but Nobu’s sense of calm, Pilates studio, 24 hour fitness centre and small spa makes it a viable option for a city-based escape. Mayfair, Belgravia and Victoria are actually three neighbourhoods next to each other in Central West London. But for anyone visiting London, they are united by their luxury clientele and some of London’s most prestigious addresses. Buckingham Palace – The most prestigious place to stay in London?! So why have I chosen these neighborhoods as the best areas to stay in London for a luxury city break? Well, anywhere that’s good enough for the Queen is certainly good enough for me. 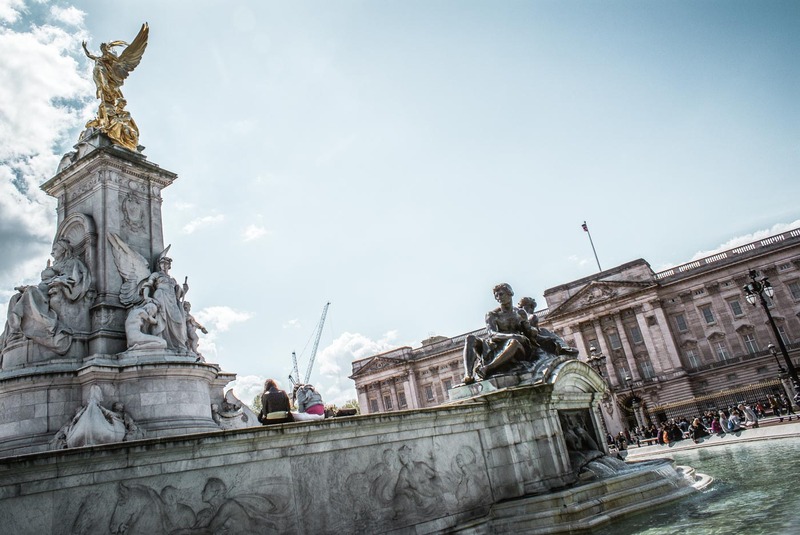 Buckingham Palace might dominate the headlines when it comes to things to see, but there’s a whole wealth of things to discover in this salubrious area. Named after the May Fair that used to be held there until the 18th century, Mayfair’s fairground days are long gone. It’s home to some of London’s best hotels (and certainly some its most expensive), with the high-end restaurants and shops to match. Buckingham Palace – Visit the state rooms for a glance at the Queen’s official residence. St James’s Park – The best of the central London Royal Parks, St James’s is made for summer picnics and lakeside strolls. Sketch – It’s plastered all over Instagram for good reasons, the pink interiors are good enough to eat. Settle for a deliciously decadent afternoon tea there instead. Royal Academy of Arts – Rotating exhibitions, talks and debates at this acclaimed institution. The only original London grande-dame hotel still under family ownership, The Goring is a quiet enclave of luxury and tradition in Belgravia. Genteel and elegant, everything about The Goring discreetly ticks boxes for high-end decadence. Spacious rooms, opulent decor and the kind of service that comes from centuries of practice, it’s no wonder that the Middleton family stayed at The Goring before the last Royal Wedding. The hotel also has one of the best afternoon teas in town, which is well worth a trip even if you aren’t staying there. A few steps away from Green Park (one of London’s Royal Parks), Dukes has everything going for it when it comes to location and history. Luckily, nothing else disappoints. This old-school cool hotel is the place to stay for the quintessential London break. 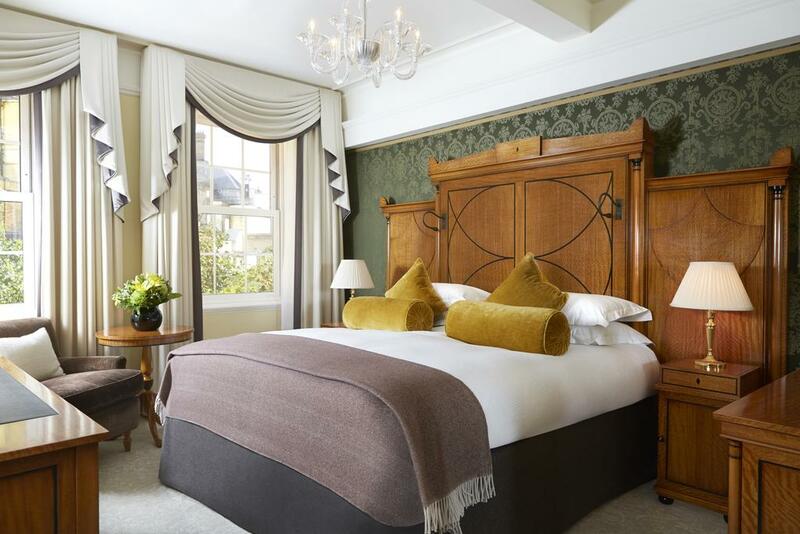 Dukes is one of the best choices for where to stay in London thanks to its long-standing heritage of perfection. No want is too big, no question too difficult for the staff to help you out with. A recent refurbishment has seen the rooms brought bang up to date with all the expected mod-cons (and a few extras too). Location-wise, it’s hard to believe that the frenetic pace of Mayfair is mere minutes from the muffled hush of the hotel. Yet a there’s easy access to Green Park station and in the heart of all. Dukes Hotel, 35 St James’s Place, London, SW1A 1NY, England. Oh Claridge’s. You simply can’t have a list of the best hotels in London without including one of the long-standing darlings of British hospitality. While many of the older hotels can err on the dated side, Claridge’s never fails to impress. Guests are welcomed with a striking Dale Chihuly chandelier in the lobby – after that it’s an exercise in the very best of class and style. Everyone stays at Claridge’s darling. Royalty, celebrities – you never know who a discreet glance around might uncover. The hotel is half-jokingly called “the annex of Buckingham Palace” thanks to the near-unbelievable number of royals who patronise the hotel. 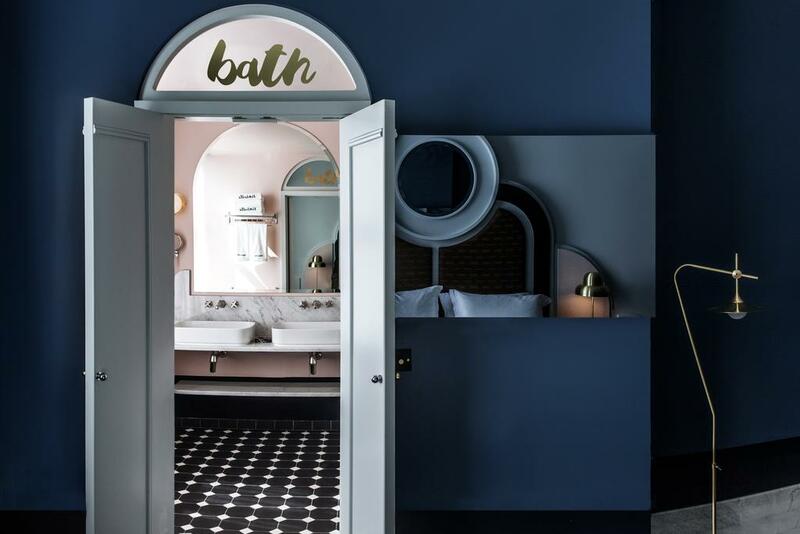 The hotel remains very much true to the Art Deco style of the 1920s – think mirrored surfaces and ornate designs that are tempered by an understated colour scheme. Marble bathrooms, Egyptian cotton bed sheets, Claridge’s doesn’t fail to live up to its reputation. Book an evening in Michelin-starred Fera, where Simon Rogan oversees a kitchen that sets out (and achieves) to excite and delight. A short hop from Victoria, and perhaps more impressively, right next to Buckingham Palace, The Nadler is another property that goes out of its way to be one of the best London family hotels. So what can you expect (apart from being neighbours with the Queen)? Family rooms with mini kitchenettes in-room, extra beds at no additional cost and staff will collect meals and deliver them to your room for a small fee (there are no in-hotel dining options). You can also arrange babysitting with the hotel’s staff – so maybe time for (whisper it) a quiet night out. The Nadler, Victoria, 10 Palace St, London SW1E 5BW, England. Although it’s a mere hop, skip and a jump from more popular areas like the West End, Marylebone is a more low-key neighborhood. It’s one of the best London areas to stay thanks to a combination of lots of things to see and lower prices. Offbeat museums, trendy restaurants and traditional pubs: Marylebone has been the hub of London’s more genteel social scenes since the 17th century. Paddington, just down the road also has a few cool hotels and tends to be a bit cheaper. Daunt Books – Browse the collection in Daunt Books. It’s a book-lover’s dream. The Wallace Collection – An eclectic collection of 18th century finds and one of London’s best museums. Pachamama – Riding the trend of Peruvian restaurants in London, this one is a cut above the rest. Gloriously quirky, booking into the Zetter Townhouse is like taking a trip into the rabbit hole – full of wonderful surprises and almost too surreal to be believed. Sister to the original Zetter Townhouse in Clerkenwell (the hotel also just so happens to boast one of Clerkenwell’s best bars on its premises), the Marylebone outpost has inherited all of its sibling’s eccentricities – including the fantasy that it’s the home of some (slightly zany) relative. Stepping into Wicked Uncle Seymour’s (the relative in question), prepare to be wowed by the Zetter Townhouse’s colourful yet endearing interiors. Though it might feel like a world of its own, in reality, the Zetter Townhouse is only minutes from Marble Arch and Hyde Park. Where better for a romantic picnic, complete with champagne and strawberries? Finished with that? The rest of central London is right on your doorstep, ready for you to explore. Why the missing I in the name? Why not? The Pilgrm isn’t afraid to break the rules. From the absence of a hotel reception, lack of check-in process, in-room telephones and air-conditioning The Pilgrm has done away with some of the traditional hotel norms. Has it been a success? The answer is a resounding yes: it’s become one of the coolest hotels in London since it opened last year – a difficult feat given the less fashionable (but very practical) location. Four townhouses have been transformed into a beautiful property that makes for the perfect place to stay in West London. One of Pilgrm’s big draws is affordability – the prices are low (well, by London standards anyway) but the quality is high. Yes, rooms are small, but filled with little luxuries such as Bluetooth speakers and the very crispest and comfiest bed linen. The Pilgrm goes by the mantra that “luxury is care” – in other words you don’t need lots of bells and whistles in a hotel, but the things you do need should be done well and with care. Kings Cross and St Pancras is an area reborn. What was once an outpost of grimy bars and late night entertainment has transformed itself into one of the best places to stay in London outside of the centre. 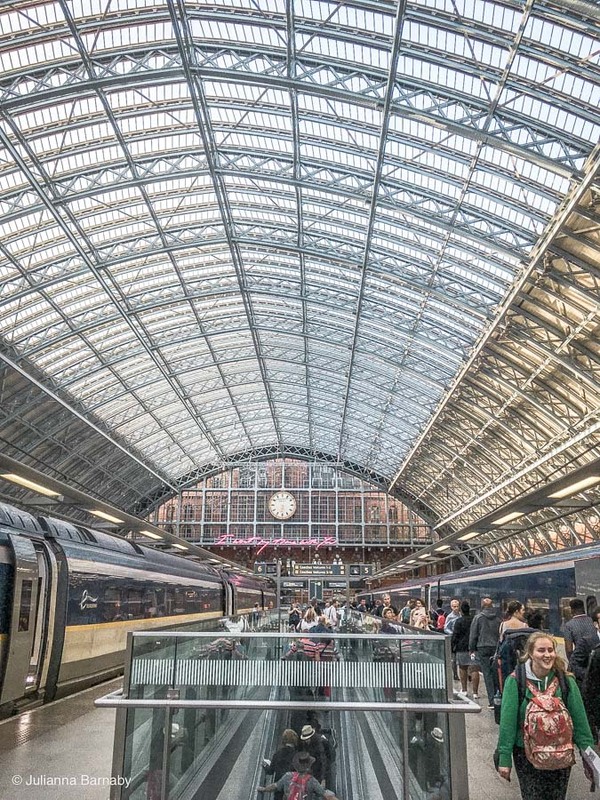 St Pancras International is London’s Eurostar station – bringing continental visitors to the area in large numbers. 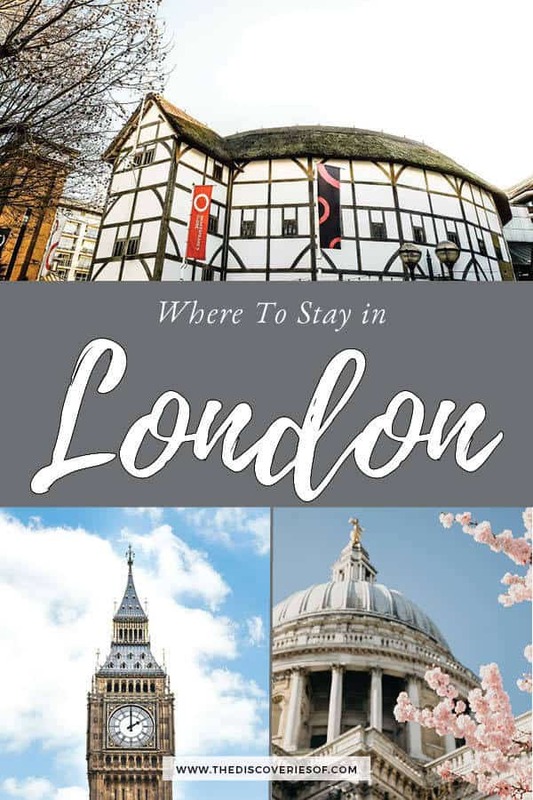 It’s easily the best area to stay in London if you are travelling on the Eurostar – there are great transport connections into the centre and a lot to do in the area itself. Drink, Shop, Do – A lovely cafe come bar where you can learn a new skill at one of the ever-changing workshops. Gets lively in the evening. German Gymnasium – Large restaurant in the style of grand cafes of days gone by. Belle Epoque luxury with all the mod cons, in close proximity to the Eurostar. Minutes away from the Eurostar terminal at St Pancras International and from Kings Cross Station, the Great Northern Hotel is one of the great railway hotels of the Victorian times reimagined for the modern age. There are several nods to the hotel’s Victorian heritage – the elaborate wrought iron balusters winding up the stairs and Chesterfield-style banquettes being two examples. Not to mention the wood panelling and chandeliers. It’s like stepping back in time, but with all the mod cons and conveniences of the contemporary age. Business travellers will appreciate the numerous amenities – including a Nespresso machine on each floor and a downstairs cafe serving quick coffees and snacks for a whistlestop break. Kings Cross has undergone a complete transformation in recent years with a slew of restaurant and bar openings – bringing much needed life to the area. The British Library and British Museum are close by, and Kings Cross is well connected for transport links into the centre and the City – both of which are only a few stops away. London’s financial and business hub has a lot going for it. As London’s financial hub, it’s where a lot of corporate entities have their offices. The City is the best area to stay in London for business travellers because of this. Don’t think that this means it’s boring though. Some of London’s oldest (and most beautiful) pubs are in the City, plus there are cool destinations like Leadenhall Market and St Dunstan in the East for you to check out during your down time. Be warned, it tends to get a lot quieter during the weekend (but this can also translate into lower prices, so not all bad). Duck & Waffle – Everything at Duck & Waffle is a stroke of culinary genius translated to your plate. Plus it’s open all night, perfect for late-night, high-end eats and drinks. Spitalfields Market – A renovated market building brimming with trendy restaurants and bars, and cool vintage stalls (depending on the day). Leadenhall Market – A gorgeous wrought-iron market housing a range of restaurants, shops and bars. There’s a good chance that if you’re in London for business purposes, you are going to have to spend some time in the City. So where better to base yourself for your stay? Before The Ned came along last year, staying in the City could be a bit… dull. 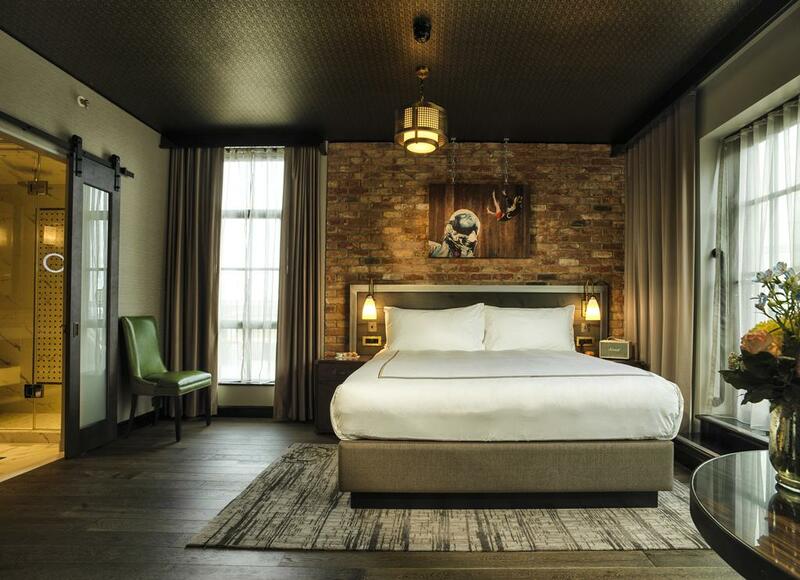 But Nick Jokes (of Soho House fame) has brought a breath of life to the area with this 252-room luxury hotel. The striking listed building used to be Midland Bank’s HQ – built in the 1920s, you can still spot many of its original features in the hotel today. Decor wise, The Ned draws heavily on the Twenties and Thirties for inspiration – adding to the overall sense of exclusivity of the property. The eighth-floor, which boasts a pool with views out over the city, and a rooftop bar – is reserved for hotel guests and members only – as is the Lutyens Grill restaurant downstairs. In London a lot for business travel? The Ned also doubles as a private member’s club – handy if you plan to visit quite a lot. So there we are, the guide to where to stay in London, area by area. I hope that you have an enjoyable stay during your time in my hometown! Any questions about what area in London is best to stay, or just about London generally, leave a comment below and I will get back to you as soon as possible. If you are travelling to London, you should also check out these other features and reviews on The Discoveries Of…. This blog is like the one-stop guide for London Travelers. Very well written and Nice Images. I personally enjoyed my stay at Shangri La. What an awesome view it has. Still, remember after almost a year!! Really glad to hear that you liked the piece. The Shangri La is ridiculously beautiful.